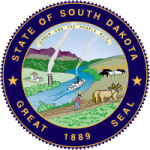 With help from the division of child support in South Dakota, it is possible to file a complaint and enforce an order if the paying parent has refused to pay for child support as agreed. It protects the interests of children who should receive support from their parents regardless of whether they are together or not. All expenses that a child incurs should be covered by both parents. The violation of such an agreement to contribute to child support will force the custodial parent to file a complaint. Step 2: Fill in the form with the details of the applicant, parents, children, health insurance information, court orders, and attorney details. Step 3: Sign it at the bottom once you are done. Step 4: Fill in the affidavit with the required details. Step 5: Sign it and send it to your local child support address.